US mobile operator Verizon revealed today that it sold 3.2 million iPhones in its first financial quarter, helping to contribute towards a strong financial period where it posted $3.91 billion in net income compared to $3.26 billion a year previous. The statistic was divulged during the company’s financial earnings call, where the company said it had sold 2.1 million 4G LTE smartphones and added 734,000 new customers over the quarter. Sales of Apple’s iPhone slipped between the fourth quarter of 2011 and its first quarter, with Verizon selling 4.2 million iPhones and 2.2 million other smartphones on 4G at the end of last year. However, the iPhone still represented over half of Verizon’s smartphone sales between January and March. 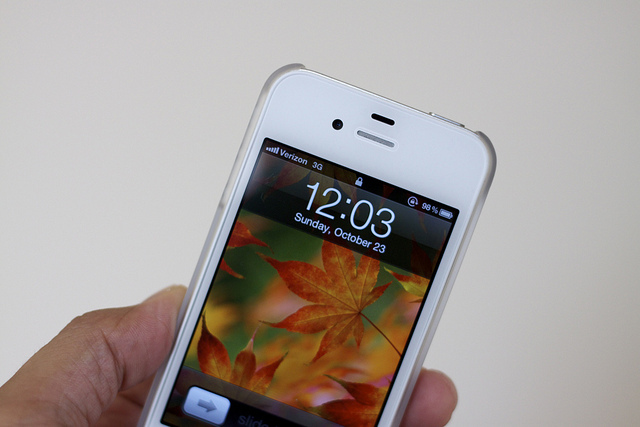 The slight dip in sales is expected, with Apple seeing a huge response for the iPhone 4S shortly after launch. Apple sold over 37 million iPhones in its last quarter, a record for the company. With demand high following the launch, Verizon wasn’t able to fill all of its orders before the year was out and ended up with a backlog of 120,000 iPhone orders to fill. At the turn of the year, Apple started to launch the iPhone 4S in a number of new countries, including one of its most important markets: China. Two carriers are now selling the device in the country and it is expected that the company will be able to offset its slight slip in sales domestically with increased sales in markets worldwide. Verizon heavily subsidizes devices to onboard users, then makes up its outlay over time as those users continue to pay their contract fees. With a boom in iPhone sales in the fourth quarter, the company is beginning to recoup the cost of the initial handset cost, with profits likely improving over time.